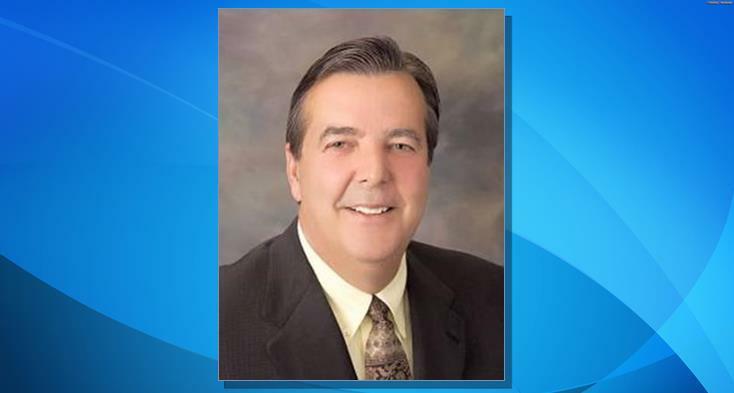 LOS ANGELES – Palmdale Mayor Jim Ledford pleaded not guilty Wednesday to five felony counts for allegedly illegally receiving more than $60,000 a year from local consultants and failing to publicly disclose the income on economic disclosure statements, along with a misdemeanor count of using an official position for personal gain. Superior Court Judge Gustavo Sztraicher set an Oct. 3 hearing to determine if there is sufficient evidence to require Ledford to stand trial. Ledford, 65, was elected to his 13th term as Palmdale’s mayor in November 2016. He was charged in June 2017 with one count each of conspiracy to commit a crime and conflict of interest and three counts of perjury by declaration. The misdemeanor count against him was added in January. Charged along with Ledford are Kimberly Anne Shaw, 62, who had been a consultant for the city of Palmdale for two decades, and Susan Burgess Miller, 70. Shaw and Miller are charged with one felony count each of conspiracy, embezzlement and misappropriation of public funds. Shaw is also charged with four felony counts of filing a false tax return. All three are free on $75,000 bond. The criminal complaint alleges that the defendants utilized various shell companies to pay Ledford about $5,200 a month. Miller, doing business as Complex Culture Change Consulting or CCCC, hired Ledford in August 2009 as a consultant at or around the same time the AERO Institute began paying CCCC nearly all of its monthly income, the criminal complaint alleges. AERO Institute paid Miller’s consulting firm more than $13,000 a month over a four-year period, and the company, in turn, paid Ledford $5,200 a month, the Los Angeles County District Attorney’s Office alleges. Prosecutors allege that Ledford did not perform any substantive work for AERO Institute during that time period. UPDATE: The preliminary hearing that was scheduled for Oct. 3 has been postponed to Feb. 11, 2019, according to the Los Angeles County District Attorney’s Office. 22 comments for "Palmdale mayor pleads not guilty in corruption case [updated]"
Francesko Stewie was one of t he biggest drug dealers in Av. Was mentorred by Perris and reformed. Although the Italian mob backed the drugs. Conspiracy theories have never ended. The dialogue…stories are fiction..and non fiction. .. I cant wait for the netflex series… Spy planes, drugs, locking out other criminals to gain control of the AV… The series will be called “The King Of The AV” he lives the high life singing christian songs as he orders his brutality…. Really? Come on people…. You all sound ridiculous. Rid the AV of Parris, Crist, Mercy, Visco, Hall, Hofbauer, Gilley, Bishop, Mahli, Estrada, and a few others and things will improve. Clean the whole house of elected officials? Do the people carry any responsibility for electing your politicians? That was well short of “the whole house.” It was just the Wrecks Parris led cabal which has destroyed Lancaster and now has their sights set on Palmdale. Which one’s remain that are not the Rex Parris cabal? So who is left of the four districts? May I remind you that the people keep electing these officials, so they bare the responsibility of electing this cabal. These are the politicians in Palmdale that the commenters think are part of the Rex Parris cabal: Steve Hofbauer, Austin Bishop, that Carrillo fellow. The only elected politicians that have not been mentioned are Laura Bettencourt, and Mayor Ledford. So you are right, it isn’t the whole house, just most of it. Is there going to be any politician that any of you would be happy with? I mean after years of complaining about the politicians, you would think they would be voted out, but not in the Antelope Valley. How helpless you all must feel, that your votes don’t count. Hofbauer was a harmless crackpot for most of his time on the council. Wrecks just got behind him after the districting phase of the plan had been seen through. Whether he can get elected any more after so blatantly selling out remains to be seen. Bishop came out of nowhere and it wasn’t really obvious that he was in the pocket until people had a chance to see how he got elected, but I’d be surprised if he gets re-elected. Carrillo I’m still not sure of either way. Oops, meant to say bear. Bishop got in when the Rex canal ran Hispanic Candidate as a Democrat in the district. He was an employee of Rex’s suing factory. The candidate took enough votes away from Martinez to give Bishop a non majority win. Bishop even printed his campaign signs! It was s brilliant move by DUI Drew Mercy. But now Bishop has been exposed as a Lancaster tool. His days are numbered on the council. The voters won’t be fooled again. Plus if he gets investigated for his business dealings with AVTA and BYD he is in deep doo doo. He’s in the printing business, why wouldn’t he print up his own signs? Austin Bishop was appointed to serve on the AVTA board by a unanimous vote of the Palmdale City Council. No secret here. It is the AVTA, not the Lancaster Transit Authority. Bishop printed signs for his opposing candidate. Alexis, you cannot be this naive. Did you fall off the turnip truck? Alexis, the AVTA is totally controlled by Rex and Marv. Their Palmdale stooges Hofbauer and Bishop do what they are told. How else would they have been able to turn that agency into an all electric bus line with busses from a Company with a less than stellar track record? Obviously, large contributions by Stella Li to their campaigns helps. It also explains why AVTA hired a former R. Rex Parris employee to be their Innovation Coordinator. Did you apply for that job? Neither did I. It was never announced. It must be nice to be among the Chosen Ones. JPB…I get what you are saying, but a unanimous vote by the Palmdale City Council to appoint Austin Bishop to serve on the AVTA board means unanimous. That means James Ledford, Laura Bettencourt, Juan Carrillo, and Steve Hofbauer. I just don’t see a conspiracy at every turn like you, and others that comment. I didn’t vote for Rex Parris, but because 89% of the people of Lancaster don’t seem to care about changing anything, I am certainly not going to spend my days thinking about some perceived velvet revolution going on in the city of Palmdale. It is up to the voters to gather the FACTS, and make an informed decision. A bunch of half truth’s and hearsay (gossip), should never be a reason to not vote for a candidate. Alexis it is a fact that Bishop did work for BYD as an AVTA board member. It is a fact that Stella Li donated thousands of dollars to campaigns of like cal politicians. It is a fact the BYD has been called on the carpet for underperforming. It is s fact that Bishop was recruited by Marv Crist to run. It is a fact that Bishop’s company printed signs for his own opponent. It is a fact that AVTA hired a former Parris employee as an Innovation Coordinator. It must be nice to be so naive. Rex Parris should be his lawyer. Rex Parris should be launched into the sun. Whaddya got against the sun, Tim Scott? Parris is crapping his pants that he pled not guilty. He and DUI Drew Mercy were sure he would plea bargain and they lined up the incompetent Steve Hoffbauer to run for mayor so they could finally gain full control of the AV. This is too funny. After all Rex did to bail DUI Drew out, he screws this up?